White House Bailan Resort with eye catching architecture is the perfect place to de-stress and unwind in the middle of lush tropical greenery. Guests at White House Bailan Resort can spend their days by the large outdoor pool or head out for a day to lounge by the beach and try out the numerous water sports on offer. With just 30 bungalow-styled accommodations, guests are guaranteed a personalized holiday experience. Each bungalow is equipped, spacious, and provides a perfect base to rest your head after a long day of exploring the bustling city of Koh Chang. The restaurant on-site is a great spot to enjoy an extensive menu of Thai, Asian, and international dishes which is sure to keep your taste buds content. The property’s array of facilities and inexpensive accommodation offers great value for your money. 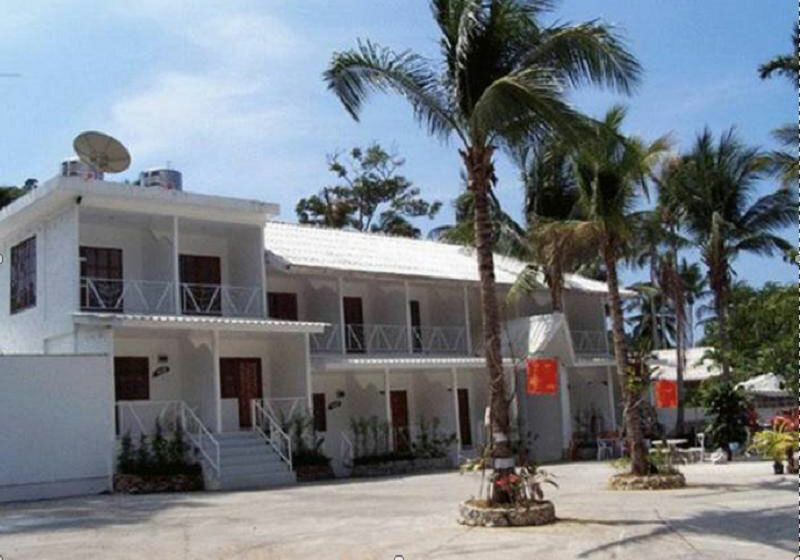 Short Description: White House Bailan Resort with eye catching architecture is the perfect place to de-stress and unwind in the middle of lush tropical greenery. Guests at White House Bailan Resort can spend their days by the large outdoor pool or head out for a day to lounge by the beach and try out the numerous water sports on offer.